Persian food is easily one of my favourites. It’s all about letting just a few quality ingredients shine and here’s another excellent example. 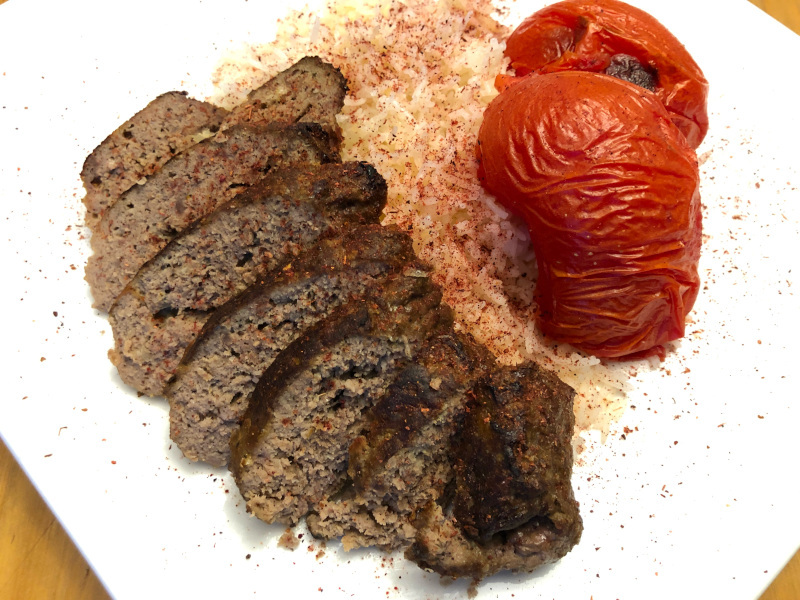 I served the kebabs with the traditional accompaniments of basmati rice and a roasted tomato, sprinkled with sumac. A side of cucumber and pomegranate salad works perfectly here as well. Preheat a grill or broiler on high heat. Place all ingredients except beef in a food processor with an “S” blade. Process until the onion is nearly puréed. Change to a dough blade and add the beef. Process until the meat becomes very stringy, but not paste-like. Divide the mixture in four and form into cylinders approximately fifteen centimetres long. Place on skewers and flatten slightly. Grill or broil the skewers until cooked through.